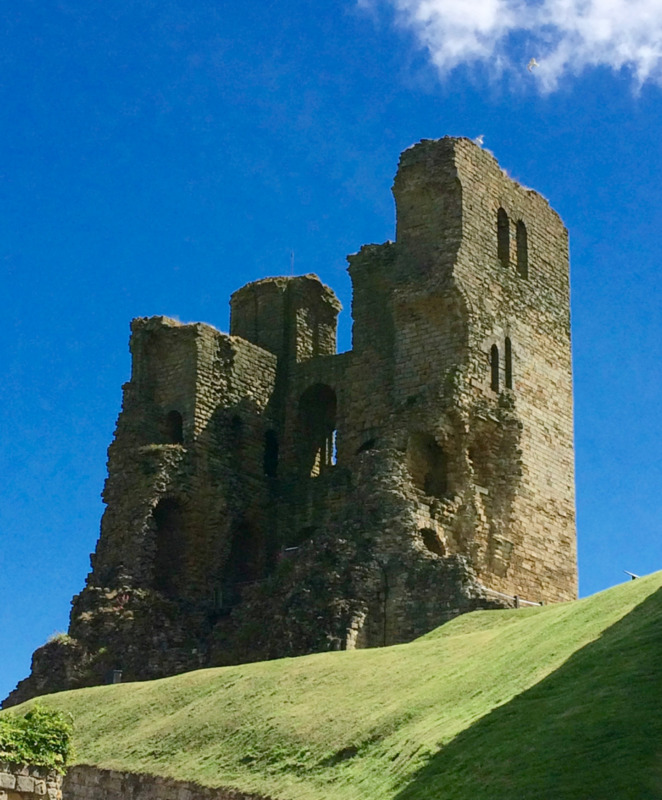 Scarborough’s 12th century Norman castle has a peaceful role today as a major tourist attraction, in marked contrast to its often warlike and bloodthirsty past. 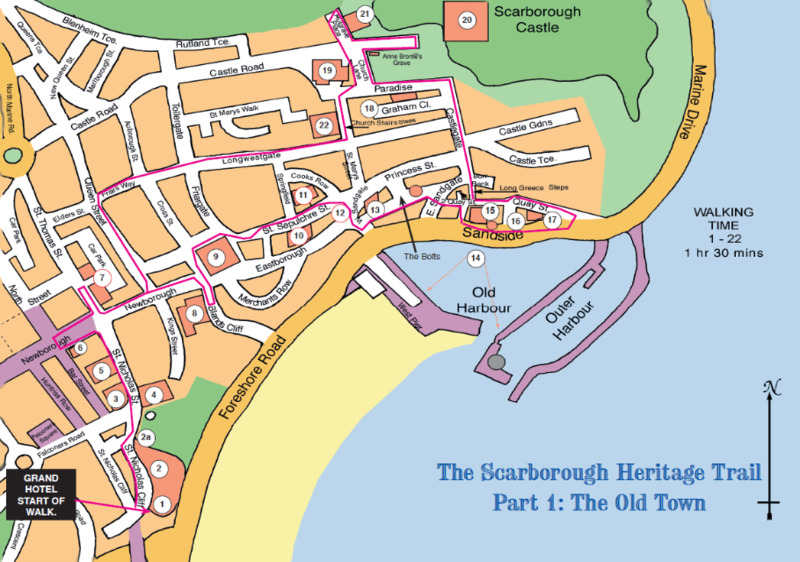 English Heritage’s illustrated booklet, entitled ‘Scarborough Castle’, is recommended. It is on sale at the Castle entrance. As you repass The Towers on the way back down Castle Road, turn right by the curious little castellated lodge house on to Mulgrave Place. At the end of this short street are curved flights of steps leading up to Castle-by-the-Sea.